We are looking for volunteers to work in various roles. To organize a great event, you need great volunteers and lots of them! If you are community-minded and like to give back or a student looking to earn volunteer credits, we can use your help. The people who contribute their time and efforts through volunteering will play an important role in the success of the festival. We are currently looking for volunteers to help in numerous areas. If you are interested in volunteering please go to the following website and click on the Volunteer Registration button and complete the online form and indicate shifts you are available to volunteer. Fundraising activities support local projects such as KidsAbility, and international projects such as Sleeping Children around the World, Haiti Containers for Hope Fund, Stephen Lewis Foundation for Aids, Polio Plus to eradicate polio in the world and more. August 7,8 and 9th 2015 at Riverside Park Cambridge. We are looking for volunteers to work in various roles. To organize a great event, you need great volunteers and lots of them! If you are community-minded and like to give back or a student looking to earn volunteer credits, we can use your help. The people who contribute their time and efforts through volunteering will play an important role in the success of the festival. We are currently looking for volunteers to help in numerous areas. 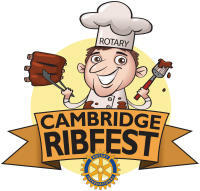 If you are interested in volunteering please go to the following website http://cambridgeribfest.com/volunteers/ and click on the Volunteer Registration button and complete the online form and indicate shifts you are available to volunteer.